I was born and raised in New Jersey, a few towns over from Bruce Springsteen's hometown of Freehold & his current home in Rumson. When people ask what part of NJ I'm from, I describe it as "Springsteen country." An earlier biography of his was one of my first reviews for the Morningside Muckraker, and I enjoyed learning more about the man behind the music I grew up with. Now, his autobiography gives fans the chance to learn more from the Boss himself. The voice in which Springsteen writes is familiar to his fans - it's the same voice we flock to in his music. His prose is lyrical and accessible, familiar and enchanting. It shouldn't be a surprise that he can turn a beautiful phrase, but it was a joy to see how well his songwriting talent translated to prose. And bonus for audiobook listeners, he does the narration himself. This is a plus for most memoirs, but when it's someone known for his distinct voice, it is particularly special. Springsteen doesn't shy away from the conflicts in his life, both internal and interpersonal. He writes of his own struggles with mental illness honestly and frankly, which I always appreciate. He also describes his relationships, and at times, clashes with those with whom he has works. I was particularly impressed with the respect he demonstrates for everyone about whom he writes. He describes their faults and how those faults interact with his own, sometimes combustibly. Because of his frank admissions of his own shortcomings as a root cause of conflicts with others, his descriptions of the faults of others do not seem vindictive. It is clear that he is a mature adult writing, describing others with magnanimity and fairness. Verdict: Affirmed. 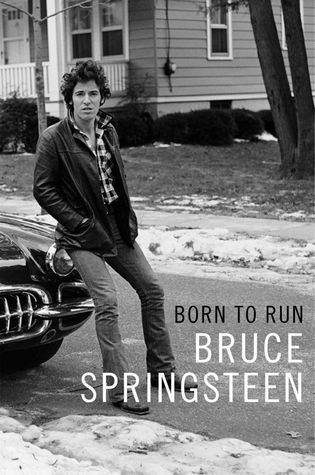 If you're a Springsteen fan, it's a must read. It's also an enjoyable read for anyone who enjoys a beautifully-written career memoir. "Born to Run" by Bruce Springsteen, published September 27, 2016 by Simon & Schuster. Audio narration by Bruce Springsteen, published December 6, 2016.